you make me smile every time I see you. 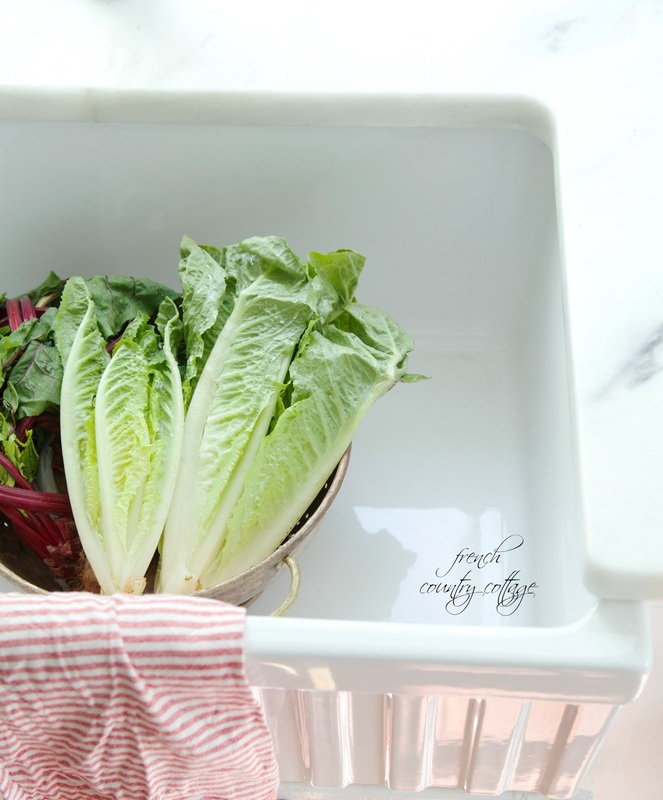 There are so many reasons to love a farmhouse sink. For one, they are huge. 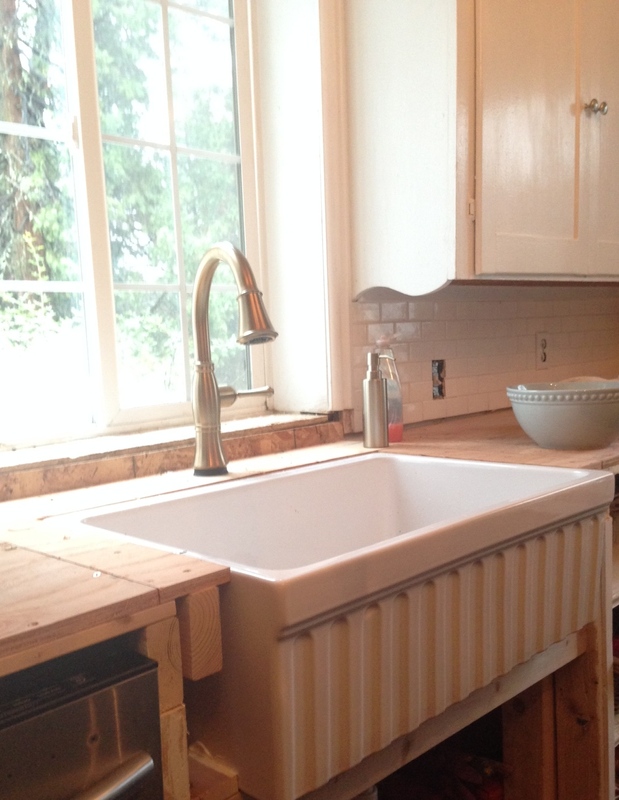 one of the things that I knew that I wanted to incorporate was a farmhouse sink. it can almost make your head spin a bit when trying to decide what look is the best for your project. embossed fronts, single basins, double basins, center drains, left or right drains, etc. So how did I decide to go with this one? I simply went with my first love. the very first time I saw it. I know it is just a sink... but seriously. I am not ashamed to say that I had a major crush on it. The fluting detail caught my eye right away of course. and I thought it could use a little something to jazz it up a bit. because this sink has a secret. It can be reversed to a smooth apron front with just a lip at the top. for our kitchen- we could always reverse and install that side. I decided to go with a single basin 30" sink. They have double bowls and smaller and larger versions. 1 big basin over 2 was perfect. 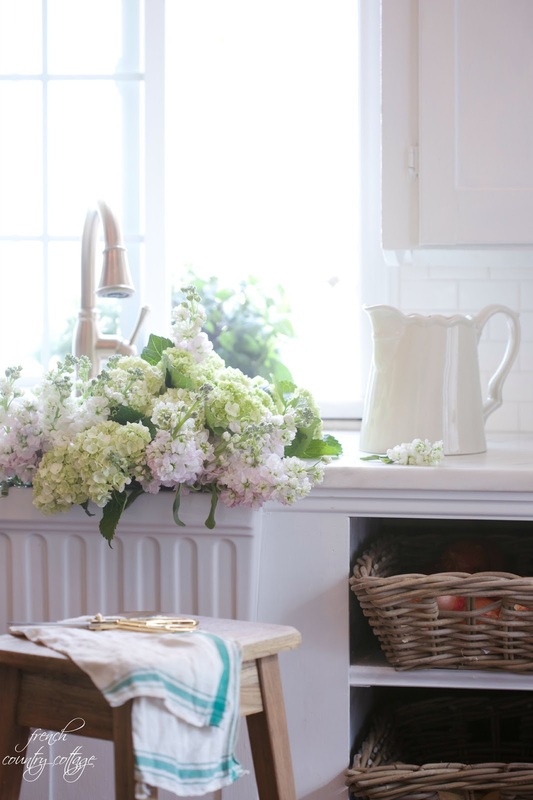 Farmhouse sinks require a special cabinet or retrofitting to make them fit existing cabinetry. but we did need to rebuild the cabinet in a different way to hold the sink. so that is doesn't slide. Easier than it sounds. Thankfully, if you are re-doing an entire kitchen with new cupboards, etc. they do make farmhouse sink cabinets ready to go- which would be the easiest option. which means no two are alike. Your sink might be a little taller on one side, deeper on the other, not a perfect rectangle, etc. to get a nice clean finish. The wood will need to be cut to fit close right up against the contour of your sink. caulk is going to have to be your best friend. which is an amazing gorgeous material. The finish on this sink is beautiful and smooth and pretty. And it makes me smile every time I see it. You do need to be careful of dropping things as something could chip the sink if it hits just right. The sink should have a special grate that you use in the bottom to help protect it. As you can see- I do not have one in my sink...yet. But as I am writing this post- I am putting back on my list. that I have been taking of my new sink that I am in.big.time.love. with it. I might have even named it. 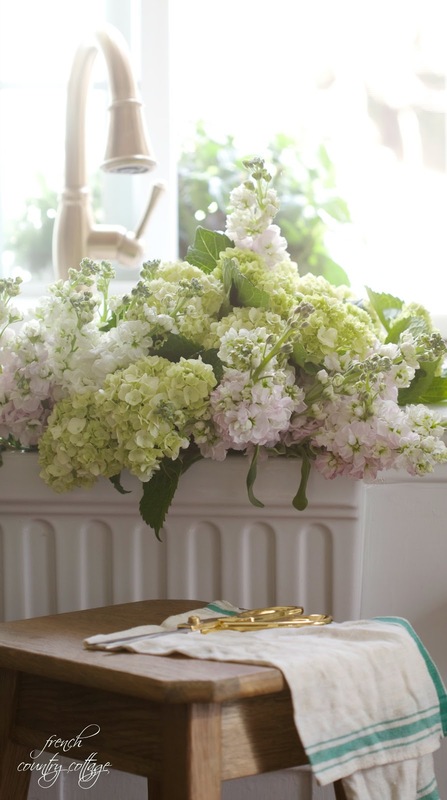 The first place a bouquet of flowers go when coming into the house? In the sink for some fresh water. Need to soak a few casserole dishes at the same time? Perfect. and it feels like it is the sink that should have always been there. Especially paired with the marble counters- it is like a perfect marriage. 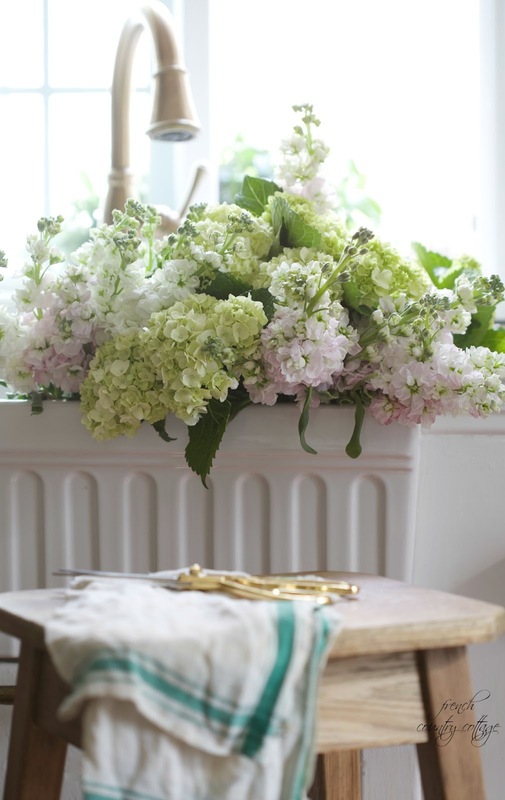 You will love the classic beautiful element it adds. You will love how big it is. 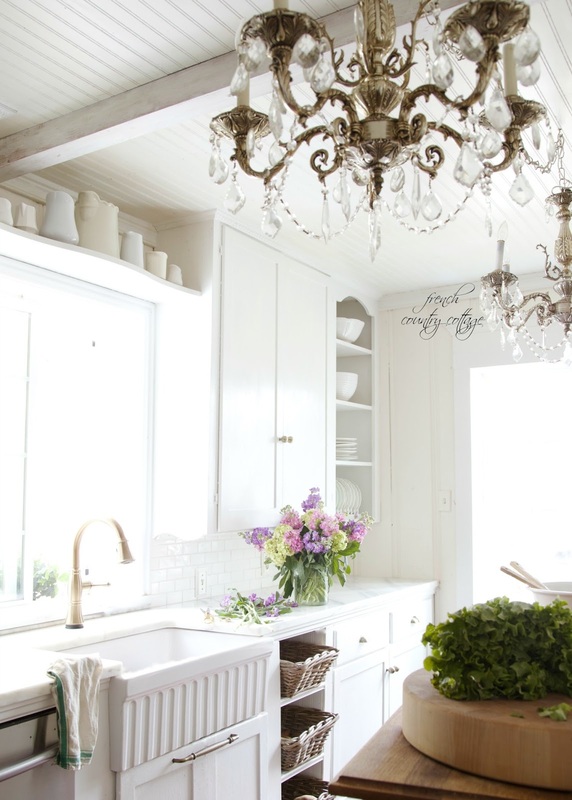 You will love how pretty it looks in your kitchen. so I am totally okay with all the eye rolling. It's stunning, but then so is your entire kitchen. Happy Wednesday! Sweet Mamma, I love your sink, too! 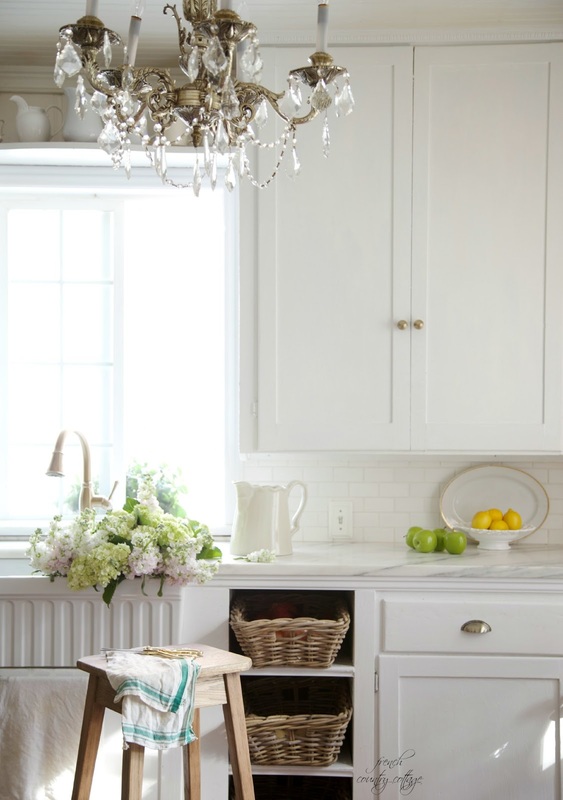 It's gorgeous and absolutely perfect for your French kitchen. Somehow I find it hard to believe that you ever get caught unaware with friends dropping in to your perfect home. I have never seen a sink with fluting and I too am in love with your sink. It's beautiful. Perfect for your beautiful kitchen! I am IN LOVE with this sink!! Beautiful! The fluting has been one of my favorites for years now, I also love the soapstone ones. It look fabulous in Your home, and if it was filled with dirty dishes over night it would still look fabulous. Courtney, you kitchen is "to die for" as is the rest of your gorgeous home and photos that you take...you are one lucky girl! I've said it before and I'll say it again ... we are soul sisters! I'm loving it too. 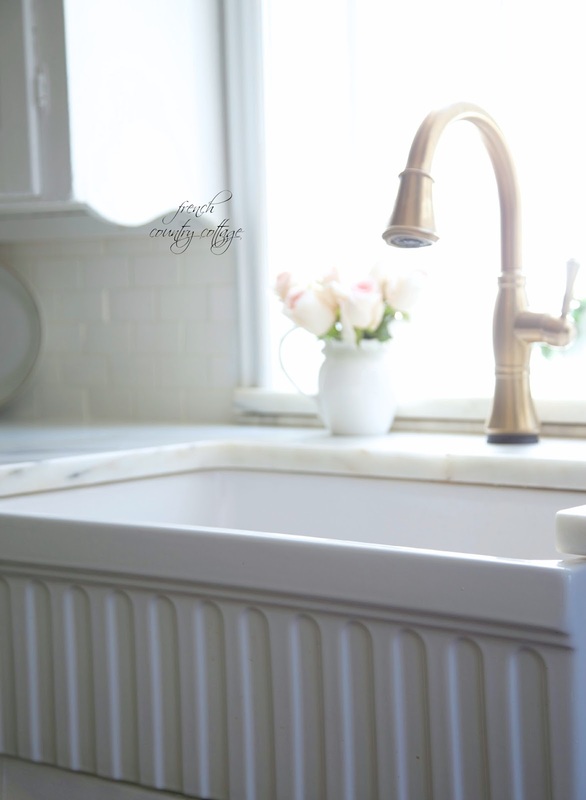 I'm crazy in love with Herbeau farmhouse sinks. 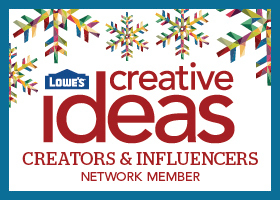 Lowe's has my gas range, my Fisher Paykel dish drawer, my Sharp under counter microwave and now my sink! I'm good to go. One stop shopping and my kitchen appliances will be complete. Thanks for sharing that adorable sink. Yours look awesome with the flowers. Gorgeous! Thank you so much for the link to your gorgeous sink. We're getting ready to do a kitchen remodel in the next few months, and I fell in love with your sink. It really helps to see it in a working kitchen. Just beautiful!! Your kitchen is just beautiful in every way! Great Choice! I love your kitchen -- it is so bright and the sink, well I would be smiling too. I guess your major renovation turned out very, very nice!! The pictures are wonderful. You have a beautiful new kitchen that needs a lovely farmhouse sink to complete the whole and i know you are so proud of it . I certainly would be if it were mine. Courtney, it is gorgeous! I love the fluted front. I have a farmhouse sink in my basement and I love it. The front is just plain, but it is a biggie! lol! Wish it was upstairs. 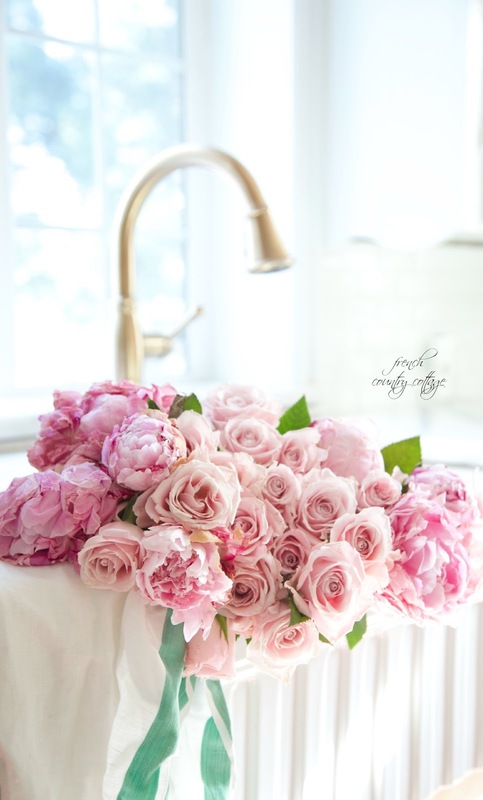 The photos of the sink filled with flowers are breathtaking! It is indeed beautiful! Are the flowers Larkspur? If so, I can imagine the wonderful smell in your kitchen too.